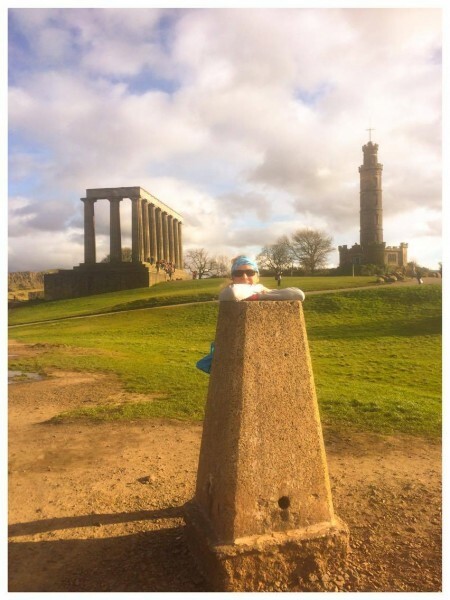 If you are heading to Scotland for a walking or cycling tour and you are starting, finishing or passing through the capital city of Edinburgh you might like to try a running tour. Running tours are growing in popularity in cities worldwide and offer the chance to be guided between landmarks, iconic buildings, tourist attractions and sights by a keen runner. The running tours are tailored to suit the pace of the slowest person and you can usually choose from a number of different distances and tour routes. 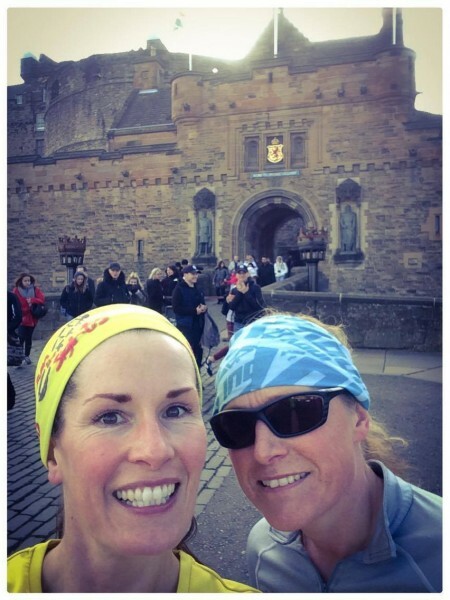 In Edinburgh there are a few running tour companies, including Run the Sights, which is owned by Ali Wyllie. 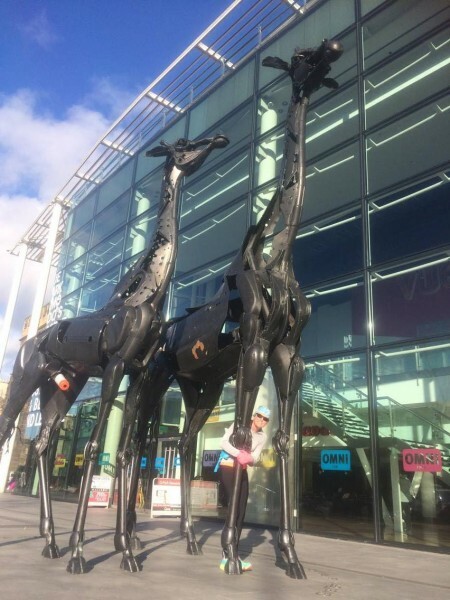 Ali is a civil servant by day and a keen long-distance runner in her spare time. Run the Sights offers tours between five and 11 miles in and around the capital city. Four of the tours conveniently start and finish in central Edinburgh at Waverley Bridge. Trig point on Calton Hill. I recently ran a tailormade version of the six-mile Edinburgh Magic tour with Ali. We arranged to start in Stockbridge, instead of at Waverley, as a more convenient meet up point for me. The route extended to just less than six miles. From Stockbridge we ran towards the centre of town and on to Rose Street. The route then followed a loop around the city centre visiting highlights such as St Giles Cathedral, Edinburgh Castle, the National Museum of Scotland, Greyfriars Bobby, Cowgate, Grassmarket, Canongate, Palace of Holyrood House, the Scottish Parliament Building, Calton Hill with its amazing viewpoint, the Scottish National Portrait Gallery and the Scott Monument. As we ran, and stopped to look at various landmarks, statues and memorials, Ali offered interesting information about each place visited. She had clearly done a lot of research and was able to tell me all kinds of fascinating facts and figures. A selfie at Edinburgh Castle! Whenever I wanted to stop and look or take in a view, Ali was happy to do so and the tour took a lot longer than a normal six mile run. I discovered a great deal that I didn’t know and enjoyed seeing the city at a lovely running pace. You should note, however, that there are lots of hills in Edinburgh so you’ll be running up and down on most of the tours and you should also be prepared for changeable weather. We started in heavy rain and finished in beautiful evening sunshine. 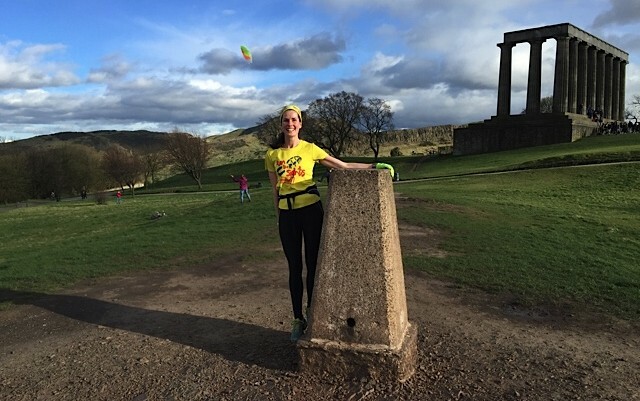 For something very different to do during a holiday that visits Edinburgh and running tour is a great activity. See Run the Sights.